A fascinating introduction to Alpha Kappa Alpha’s pioneering members - women who have been active, visionary barrier breakers, seizing every opportunity to make a difference throughout the twentieth and twenty-first centuries. This exhibit ensures that their empowering stories continue to inspire and are not left out of recorded history. 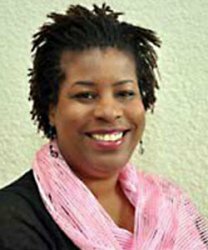 First African American female appointed as Leadership Academy Coordinator to work with adolescent females preparing them for Advance Placement Classes in the Long Beach, CA school system. Copyright © 2018 - 2019 Alpha Kappa Alpha Sorority, Inc.® | All rights reserved.